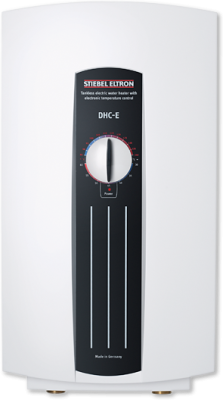 The electronic compact instantaneous water heater DHC-E reliably supplies one or more draw-off points. Up to the output limit, hot water always flows at precisely the required temperature. The electronic control ensures that the appliance output adjusts automatically subject to the temperature of the water supply and the selected domestic hot water temperature. 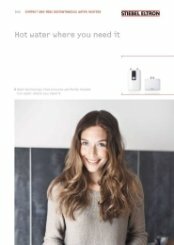 The domestic hot water temperature is variably adjustable. 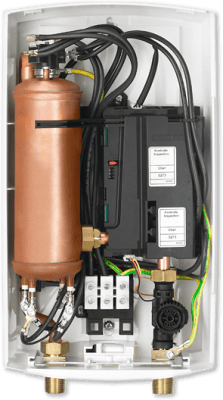 The tubular heater system with pressure-tested copper casing is suitable for soft water areas. 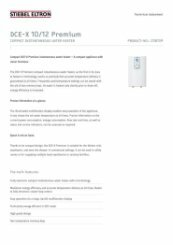 Included: 1 x Stiebel Eltron DHC-E Washers 18 x 11 x 2 and 1 x Stiebel Eltron DHC-E Washers 18 x 11 x 2. 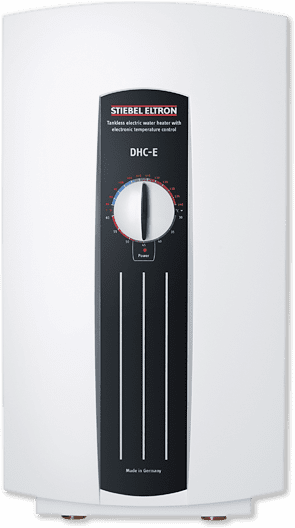 Why choose the DHC-E 8/10 compact instantaneous water heater? Thank you very much for the great review of our service, delivery and packaging. Works as advertised. Fitted immediately into space occupied by an earlier version (20 years old?) of the same heater. The thermostat on the output is a big improvement as it means no more being dowsed by scalding hot water when the water pressure drops, which it does a lot in this hot weather! Product was delivered next day as promised, and was installed and working perfectly the following day. I can't ask for more than that!! That is brilliant to hear, thank you for the great 5 star review.